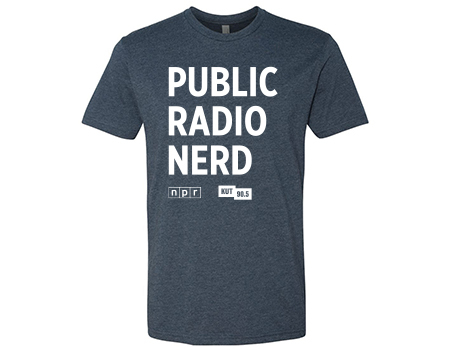 Show off your pride in being a Public Radio Nerd with the KUT T-shirt. It features white letters with an NPR logo and a KUT logo on a navy blue T-shirt. The shirt is a blend of cotton and polyester. It fits true to size.